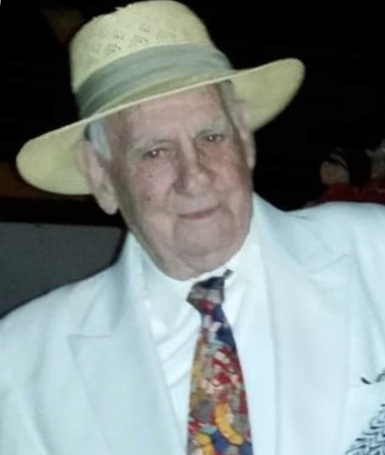 Claude "Claudio" Lee Haynes, Jr.
Claude “Claudio” Lee Haynes, Jr., age 94, of Pelham, NC, passed away on Saturday, January 19, 2019, at the Hospice Home of Rockingham County. Mr. Haynes was born on September 21, 1924, in Danville, VA, a son of the late Claude Lee Haynes, Sr. and Delma Boyd Haynes. Mr. Haynes worked as a technician at Cone Mills and he served in the US Navy during WWII, where he received the Asiatic-Pacific Area Star and the Philippine Liberation and Star and Victory WWII. He was an active member of the American Legion Post 1097, where he was a member of the Honor Guard for over 10 years, and the Poquoson Tribe # 124. He was also a member of the Elks Lodge and a former member of the Moose Lodge. Mr. Haynes was also a lifetime member of the VFW Post #647. Mr. Haynes is survived by his children, Claude Lee Haynes III (Barbara), Jerry A. Haynes, Melvin A. Haynes (Cathy), and Frankie Haynes (Wendy); a brother, Francis Haynes; a sister, Sylvia Anderson; and by many grandchildren. In addition to his parents he was predeceased by his wives, Alice Fowler Haynes, Gladys Fay Stewart Snow Haynes, Flo Mulluns Haynes, Easter Scearce Haynes and Marion Christine Harris Haynes; children, Catherine Haynes, Donald Haynes, and Marvin Haynes; and his sisters, Marguerite Slaughter and Louise Johnson. Graveside services will be conducted on Tuesday, January 22, 2019 at 2:00 PM at Green Hill Cemetery with Military Honors provided by the American Legion Post 1097 and the US Navy. Visitation will be held on Monday evening from 6:00 until 7:30 PM at Swicegood Funeral Home. Swicegood Funeral Service is respectfully serving the Haynes family.